The Fifty Best held a “blind” tasting of recent release Sonoma Chardonnay wines with 15 pre-qualified wine judges. Strict tasting rules were applied. The order of service was established beforehand by lottery. Each of the wines were poured into fresh glasses from new sealed bottles and served well chilled. Only ice water and white bread were available to cleanse the palate. Grapes for this wine are farmed for low yields, hand-picked on a block-by-block basis and fermented and aged in French oak barrels. Aroma: Caramel, burnt caramel, butter, vanilla, baked apple, sour apple, crisp, slightly tart, soft oak. Palate: Apple, grapefruit, white peach, baked apple, honey coated apple, burnt caramel, tart, light oak, full mouthfeel, medium acid. Finish: Apple, orange, grapefruit, whipped cream, ambrosia, good balance, delicious. Leveroni Vineyards, just south of the town of Sonoma and planted in the 1970’s, provides the ripe grapes for this wine that was barrel fermented. Aroma: Green apple, pear, grapefruit, citrus, lime juice, vanilla, baked flatbread, light oak. Finish: Berry, ripe fruit, full flavored, well balanced, strong close, nice, lovely, very elegant. Made from grapes grown in the foothills of the Mayacamas Mountain range that experiences morning cooling fog, this wine was barrel fermented and aged in French oak (40% new) for 21 months prior to bottling. Aroma: Baked apple pie, apple, citrus, ripe fruit, slightly tart, pistachio, almond, oak. Palate: Citrus, pear, apricot, lush, good minerality, medium acid, oaky. Finish: Poached pears, pear, tart, dry, velvety. Grapes (100% Chardonnay) undergo barrel fermentation and are aged in French oak for 9 months. Aroma: Lemon, subdued tree fruit, hints of lemon, honey, buttery. Palate: Apple, apricot, red grapefruit, citrus, some oak, medium acid. Finish: Melted butter, full flavored, oak masking fruit, nice. The small amount of this wine produced (80 cases) is done so by using organic vineyard management practices, dry farming, hand harvesting, fermentation utilizing natural yeast and without fining or filtration. 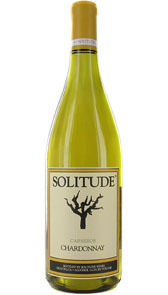 Aroma: Green apple, sour apple, apple, pear, lemon tart, herbaceous, minerality, hint of wood. Palate: Lemon tart, green apple, apricot, buttery, mineral, medium acid, soft, lush mouthfeel, well rounded. Finish: Melon, peach, prominent fruit, buttered popcorn, creamy, nice, flavorful. Made from hand-picked Chardonnay grapes that are processed by use of whole-cluster pressing in the cool morning hours followed by fermentation (88% in barrels and 12% in stainless steel) and 9 months of aging in French Burgundian oak. Aroma: Pear, lemon curd, light lemon, kumquat, green apple, honeysuckle, faint vanilla. Palate: Lemon chiffon pie, apricot, peach, pear, orange, honeysuckle, honey, hint of cream, creamy, some smoke, medium acid. Finish: Hints of vanilla, soft, oak. Grapes for this wine hail from Sagiacomo Family Vineyard in the Sonoma Carneros appellation and are processed by full barrel fermentation and complete malo-lactic fermentation. Aroma: Green apple, golden apple, lime, ripe fruit, honey cake, blossom, floral, herbaceous. Palate: Green apple, golden delicious apple, beautiful pear, berry tart, bright fruit, tart, crisp, full mouthfeel, medium acid, impactful. Finish: Orange, grapefruit, crisp, complex, very lively. Made from grapes in select vineyards with fermentation totally in stainless steel. Aroma: Green apple, citrus, lemon blossom, white flowers, pepper, walnut, almond, white rocks, crisp, tart, cedar. 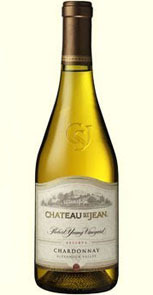 Palate: Pear, white peach, star fruit, apricot, sweet pepper, mineral, tart, crisp, dry, very complex, high acid, balanced. Finish: Peach, pear, juicy, butter, great minerality, pleasant. Made from hand-picked Chardonnay grapes that are processed by use of whole-cluster pressing in the cool morning hours followed by 100% barrel fermentation and 9 months of aging in French Burgundian oak. Aroma: Sweet apple, honeycrisp apple, lemon curd, vanilla, floral notes, light oak. Palate: Pear, white peach, apricot, stone fruit, honey-drizzled fruit, white grape, lemon curd, tart, medium acid, oak, balanced. Made from grapes grown in an area noted for cool fog from the Pacific Ocean, this wine is fermented in French oak barrels. 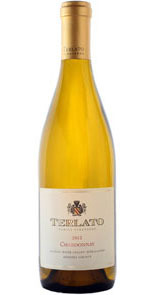 Aroma: Lemon sorbet, apricot, grapefruit, citrus, apple, green apple, crisp, butter, pastry, stony. 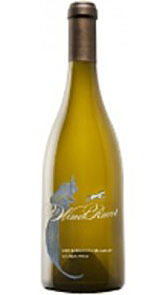 Palate: Apple, pear, apricot, orchard fruit, honeydew, buttery, shells, light oak, full mouthfeel, medium acid, well balanced. Finish: Citrus blossom, buttery, good balance. Grapes for this wine hail from one of the coolest sites on the Alexander Valley Vineyards estate, where morning fog is the norm. The majority of the fruit (70%) is harvested at night to maintain acidity, then cold fermented and eventually blended with the remainder of the fruit (almost all Chardonnay and a bit of Viogner) that has been barrel fermented. Aroma: Lemon pith, orange peel, citrus, pineapple, gooseberry, bright white flowers, white rock, crisp, lively. Palate: Bright citrus, apple, pear, white peach, kiwi, melon, mineral, medium acid, lovely. Finish: Tangerine, orange blossom, honey, dry, perfect balance. 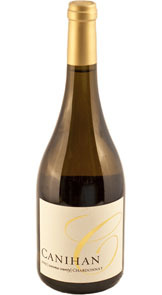 Made from grapes grown in a Green Valley vineyard noted for excellent soil and a foggy climate. Aroma: Green apple, lemon sorbet, honeydew, floral, wet rocks, stony, sea spray. Palate: Green apple, citrus, orange, creamy, steely, high acid, balanced. Finish: Juicy, lemon curd, buttery, excellent balance. Made from grapes receiving cool exposure – being planted on northern facing terraces, high above the town of Sonoma – this wine is fermented and aged in French oak. Aroma: Ripe apple, ripe pear, apricot, baked tart, custard, butter, green pepper. Palate: Baked tree fruit, apple, pear, white grape, red grapefruit, honeysuckle, honey, creamy mouthfeel, medium acid. Finish: Great balance of fruit and oak, butter, nice. Grapes for this wine – from a loamy vineyard that is regularly visited by cool Pacific wind and fog – are barrel fermented using native yeasts. Aroma: Lemon confit, tangerine, citrus, apple cider, honeysuckle. Palate: Apple cider, apple, lemon confit, anjou pear, dates, honey, good minerality, medium acid. Finish: Pineapple, passion fruit, mineral, oaky, soft, complex. The grapes for this wine were fermented totally in French oak barrels utilizing only native yeast, and after allowing the wine to settle, it was aged for an additional nine months in barrels prior to bottling. Aroma: Vanilla, caramel, baked apples, pears, citrus, prominent oak. Palate: Apple cider, green apple, white peach, tangerine, lemon rind, mineral, crisp, prominent oak structure. Finish: Apple, stone fruit, tart, soft, silky. To make this wine grapes from Moon Mountain undergo whole-bunch pressing, barrel fermentation (using 30% new French oak ) and aging in a combination of new and used French barrels. Aroma: Baked golden apple, crisp green apple, lemon curd, ripe fruit, floral, white pepper, bell pepper, toasty. Palate: Lemon curd, golden apple, green apple, honeydew melon, pear, clean, crisp, high acid. Finish: Clean, crisp, tart, nutty, dry, excellent balance. Grapes for this wine are from a prized vineyard that is tucked in a sheltered cove at the Northern end of Alexander Valley and are processed under the direction of long-time award-winning winemaker Margo Van Staaveren. Aroma: Tart lemonade, golden apples, vanilla. Palate: Green apple, citrus forward, almond, tart, medium acid, oak, balanced. Finish: Pear, juicy, intense citrus & acidity, oak. The grapes for this wine are a Dijon clone grown in the foothills of the Mayacamas Mountain range that are totally barrel fermented and aged in French oak (50% new) for 18 months. Aroma: Crisp red apple, candied lemon, apple butter, coconut, vanilla, sweet oak, white oak, mineral. Palate: Red apple, apple, candied fruit, buttery, walnut, prominent oak, toasted oak, lush mouthfeel , medium acid. Finish: Melon, crisp, oak hints. Grapes from the foothills of the Mayacamas Mountain range are primarily barrel fermented (85%) and aged in oak barrels for 10 months. Aroma: Apple pie, Granny Smith apple, pear, baked pear, guava, vanilla, lovely. Palate: Lemon custard, buttery, honey, apple, sour apple, soursop, medium acid. This wine is made from hand-picked grapes grown on the Lazy C vineyard in an area known as the “Petaluma Gap,” that is frequented by cool Pacific fog on most days during the growing season. Fermentation is conducted in temperature-controlled tanks and the wine is aged for three months in French oak. Aroma: Lemon curd, peach, golden apple, crisp, mineral, oak. Palate: Green apple, white peach, apricot, tart, medium acid, toasted oak, structured. Finish: Nice, smooth, well balanced. Chardonnay wine from Sonoma – To oak or not to oak? Sonoma chardonnay was just such a polarizing wine because the predominant style in the 1990s was so exaggerated — a rich, heavy cocktail of tropical tutti-frutti flavors wrapped in oaky layers of buttered popcorn. Some called the California Chardonnays “Tammy Faye Bakker wines,” referring to the late televangelist famous for her excessive makeup. Too much oak they say, pushes the wine out of balance and into freakishness. The style had its devoted fans — and still does. Sonoma chardonnay became a kind of litmus test. Your stance on the wines signified your position on cuisine, culture and, even your political views. But those who did not favor this style criticized it for lacking the balance, refinement, subtlety and liveliness that defined great white wines from other places. What to look for in Sonoma Chardonnays? Richness, depth and a refreshing sense of acidity. 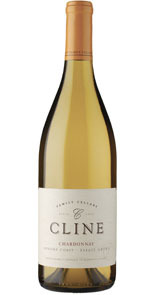 An emphasis on orchard and tropical fruits, with tart citrus, creamy and mineral flavors. Chardonnay is an easy wine for food pairings because of its wide variety of styles, textures, levels of sweetness and natural acidity. All types of seafood, chicken, veal, pork are good pairings with Chardonnay. It's also perfect with a wide variety of hard, soft and creamy cheeses.